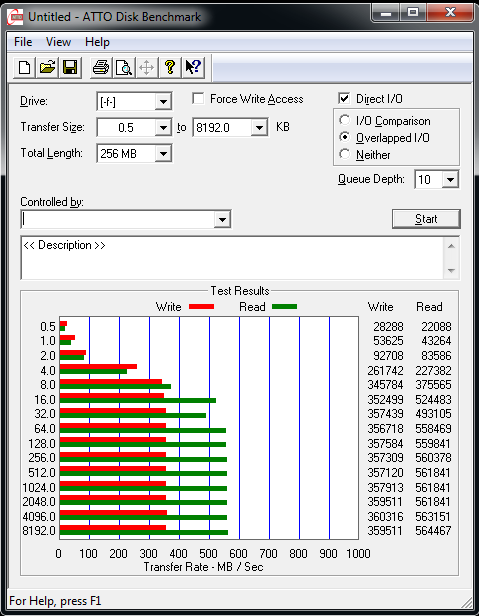 A pretty neat tool used by a lot of people to get an accurate read on hard drive performance. It gives you different options with respect to the type of load in the benchmark. For our tests, I chose overlapped I/O with a queue depth of 10. The block size ranged from 4KB to 2MB, which should give a fair representation of real life loads. As you can see, the sequential reads come close to 560MB/s and the writes at 360MB/s. 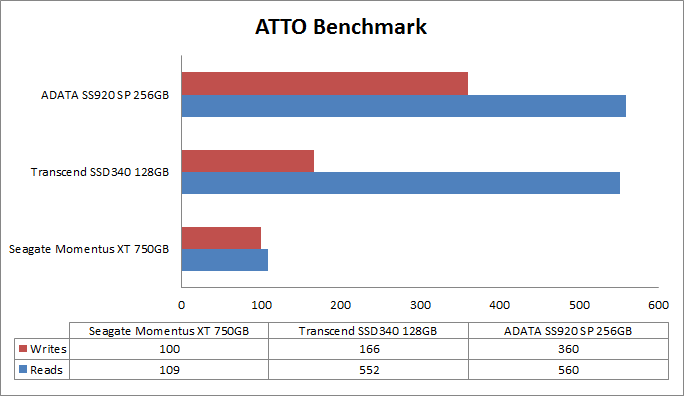 The ADATA SP920SS outperforms the traditional and budget competitors too.